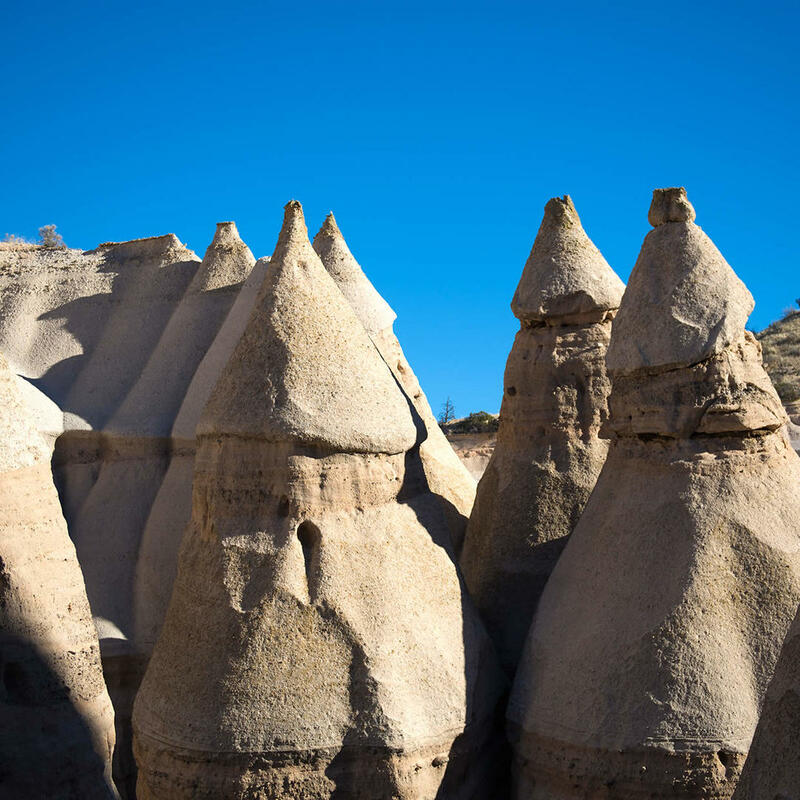 Kasha-Katuwe Tent Rocks National Monument was established as a U.S. National Monument by President Bill Clinton in 2001 before he left office. In the Pueblo language Kasha-Katuwe means "white cliffs." The geology of the area is due to layers of volcanic rock and ash deposited by pyroclastic flow, the result of a volcanic explosion that occurred 6 to 7 million years ago. Weathering and erosion of these layers over a period of time created canyons and tent rocks which are cones of soft pumice beneath harder capped rocks. These cones vary in height from a few feet to 90 feet! The monument is open daily only and may be closed by order of the Cochiti Pueblo Tribal Governor. There's a 1.2-mile trail leading up to a lookout point where the tent rocks may be viewed from above. The monument is not open to dogs and, on a side note, the science fiction TV series "Earth 2" filmed at locations which included the monument.